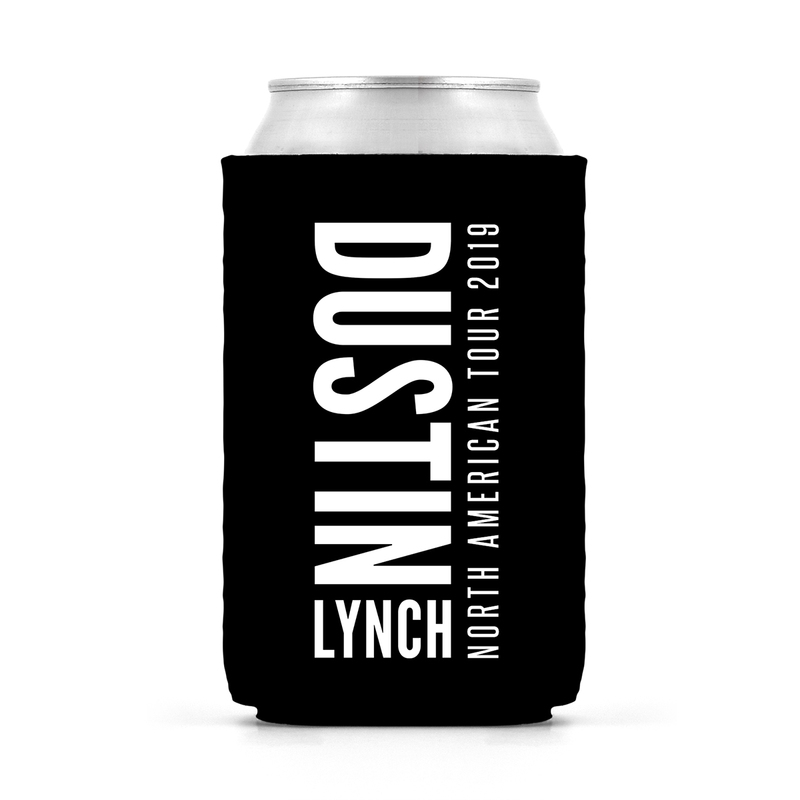 Black can hugger featuring Dustin Lynch silhouette on one side and 2019 North American Tour logo on other side. Copyright © 2019 All Rights Reserved. Musictoday II, LLC, is the seller of all Dustin Lynch Merch merchandise and is solely responsible for all aspects of your purchase.